Every day, thousands of people in cities all over the world take pictures as part of their job. You may not have noticed them, but they’re out there: reporters, journalists, writers for online publications and of course, professional photographers. For these people, taking a picture is often only the beginning, as some critical post-processing work needs to be done before the images are ready for publication. And then there’s the publication itself, which may include several more steps. Sometimes there’s not enough time to go back to the studio and everything needs to be done quickly in a mobile environment. This is why so many graphic professionals are used to carrying everything they need with them. 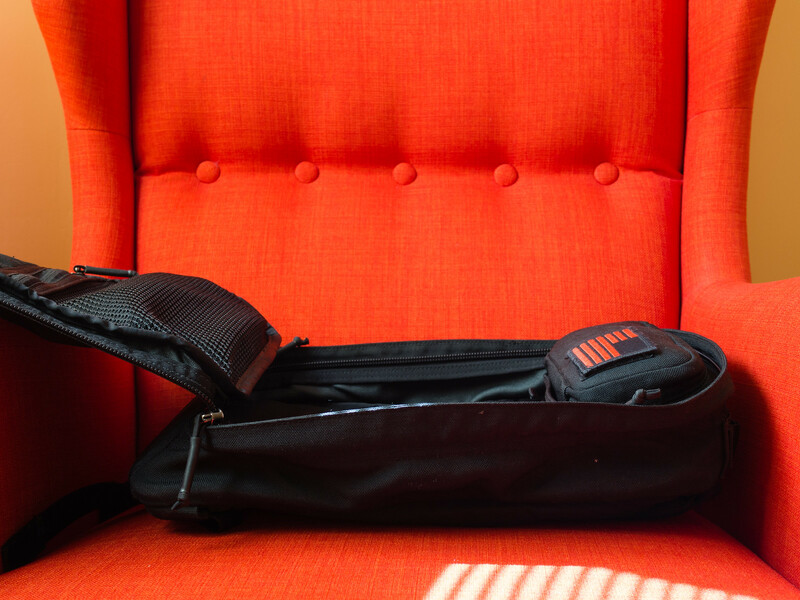 It all starts with choosing the right bag for your needs. 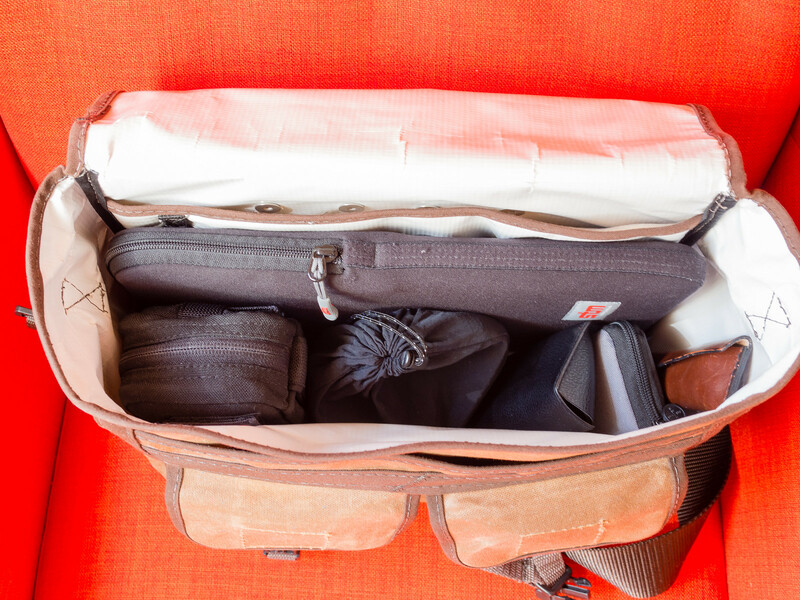 It’s tempting to go big, I know, after all you never know when you may need some extra space, but in my experience the smaller the bag, the better. 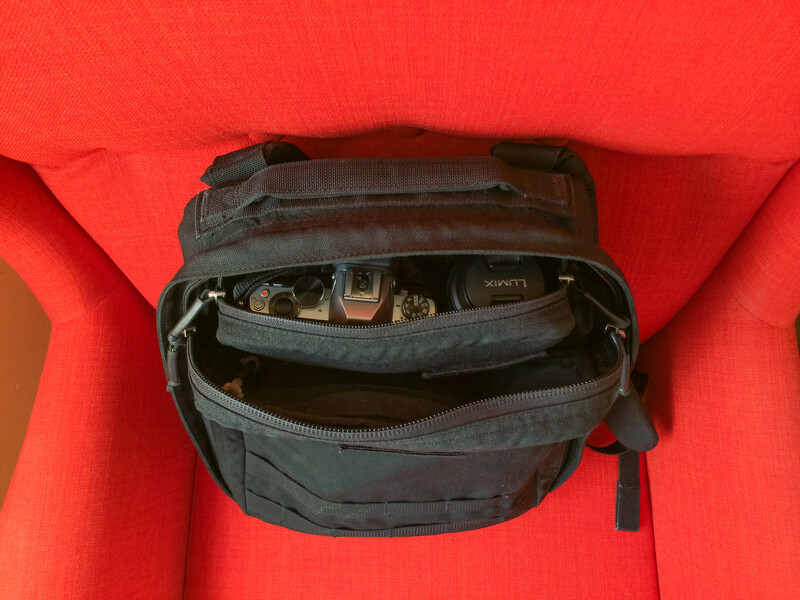 Having a small bag forces you to be more carefully selective about your gear, and I’ve found that to be a good thing. Self-imposed restrictions are often a great way to boost creativity and in photography, creativity is paramount. Every decision you can make to help yourself become a better photographer is absolutely worth it. If you only have one lens, for example, your compositional skills will necessarily evolve and adapt, forcing you to learn more than if you could just pick a different one. Having excessive gear can make you lazy as a photographer, so be ruthless about the items you decide to take with you. 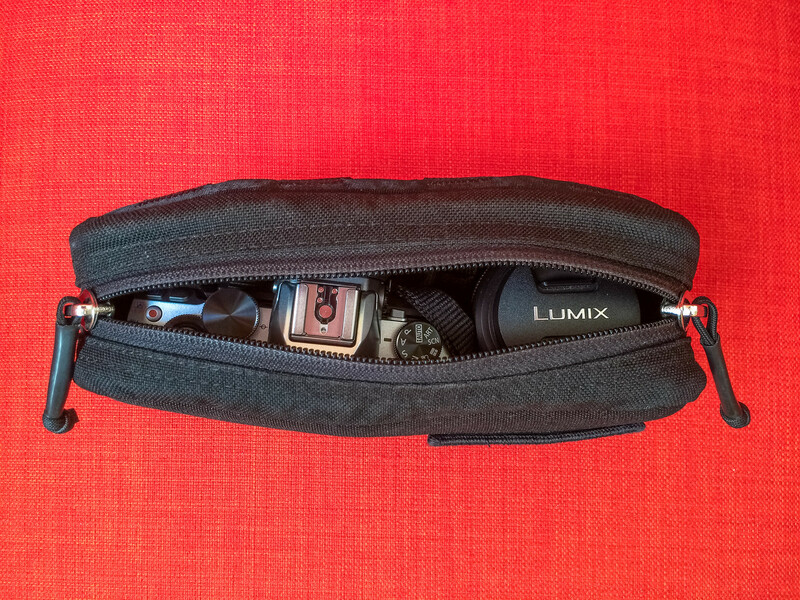 It’s also easy to be tempted by highly-specialized camera bags. You know, those bags with a million internal compartments, padded pockets, bombproof zippers, you name it. I suppose they’re fine, but in my opinion they are a lot less versatile than a regular bag and they’re probably overkill for most people. You can get the same results using your everyday bag just fine. 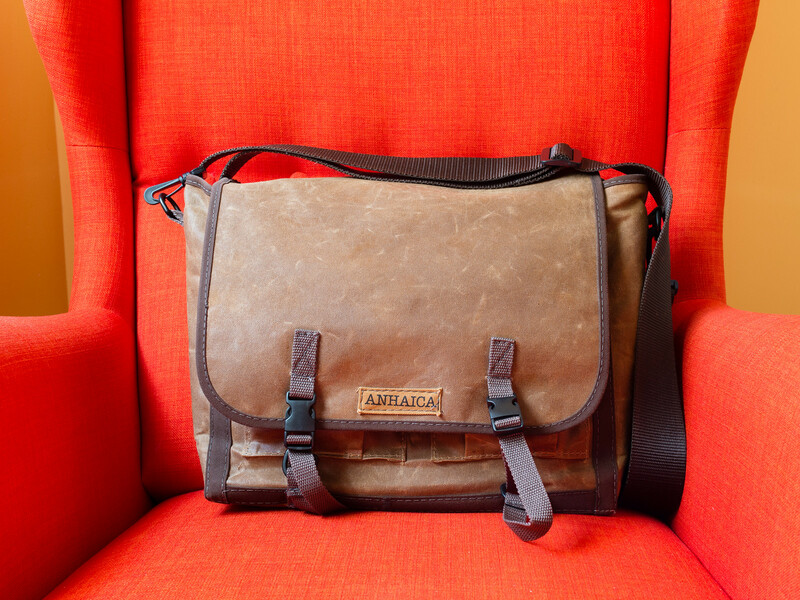 The bag I chose is a custom-made, waxed-canvas messenger bag and pannier by Anhaica Bag Works. 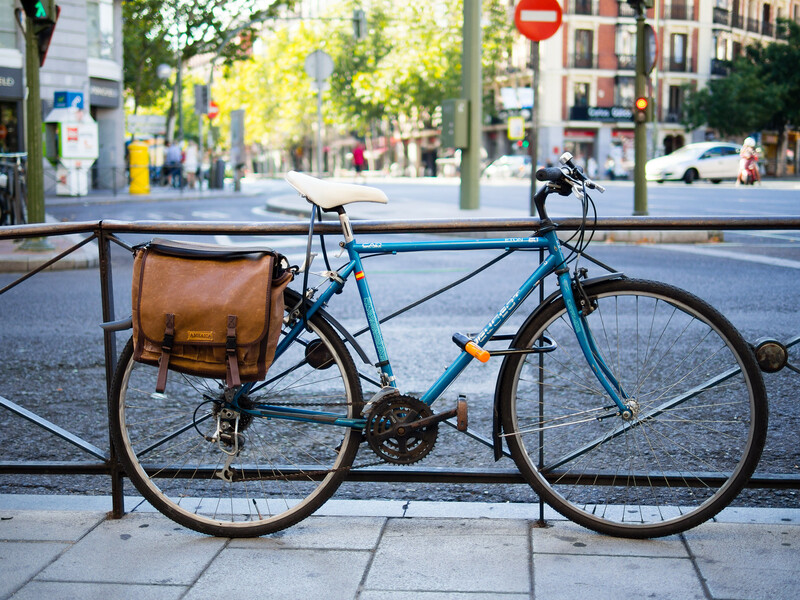 I usually move around the city on my bicycle, so I needed a bag that I could clip onto the rack of my bike and use as a pannier. This way I can relieve my back of the weight, which makes it much easier to carry on the bike and has the added benefit of keeping me dry, especially my back. If you’ve ever carried a backpack on your bike on a hot summer day, you know what I mean. 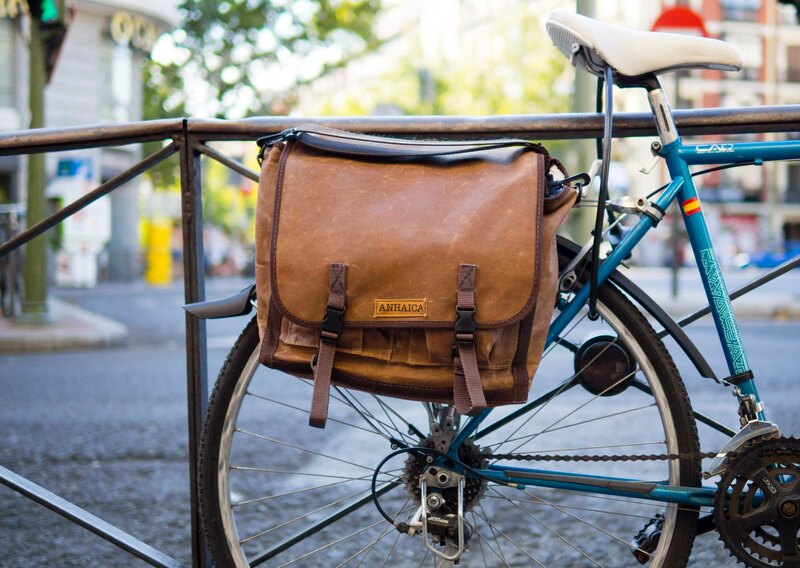 The messenger pannier comes in a variety of colors, but I like the standard brown. Since they are made-to-order, you can request a wide range of customizations to be made, including size, color, etc. 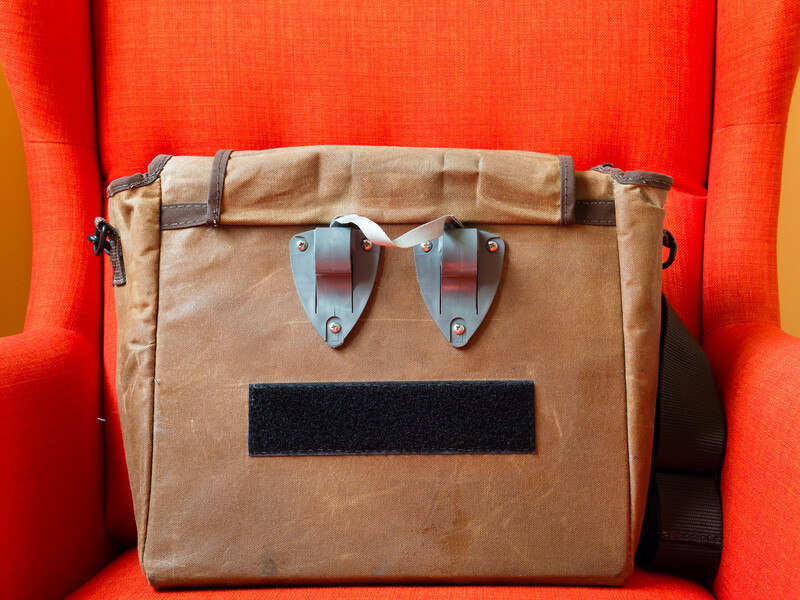 The back of the bag has a flap cover that hides the bike rack clips when they’re not needed. 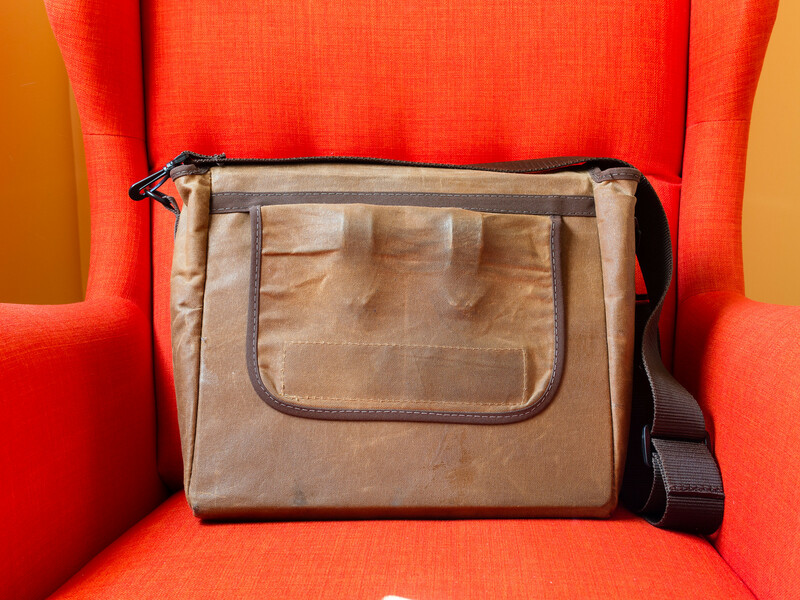 It’s a nice little design touch that makes the bag more comfortable to carry over your shoulders. 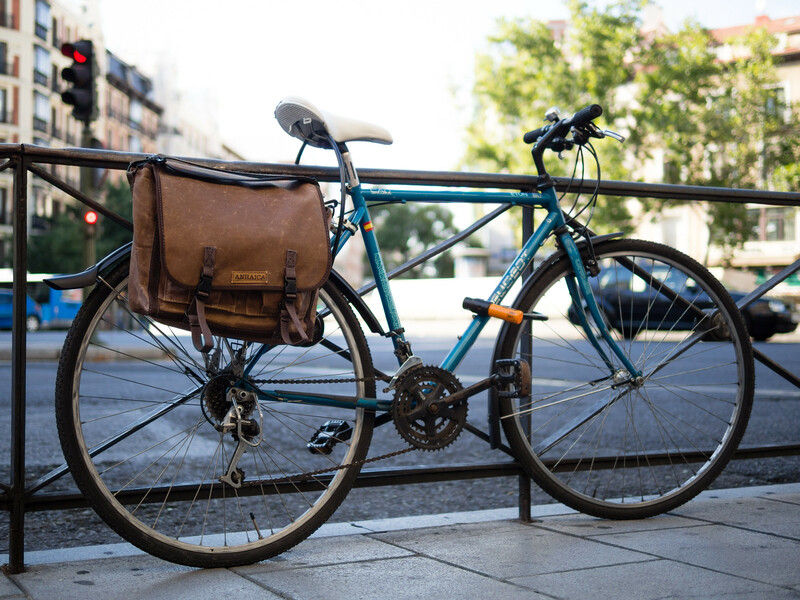 You can just pull the cover and clip the pannier onto your bike rack, as you would any other pannier. The last thing you need when you’re cycling through town is to keep worrying about your bag falling off your bike. Fortunately, all Anhaica bags use MEC clips, which are easy to clip on and off the bike and make the bag stay firmly in place. Plus, they’re durable: I have used them for over a year, and I am yet to see any wear signs from them. 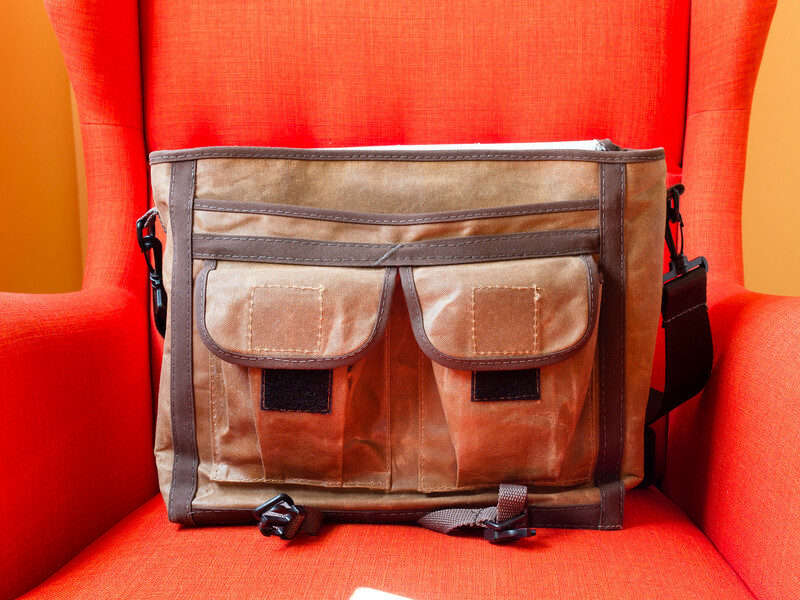 Besides the main compartment, the bag has a sleeve compartment in the front, as well as two secondary pockets. 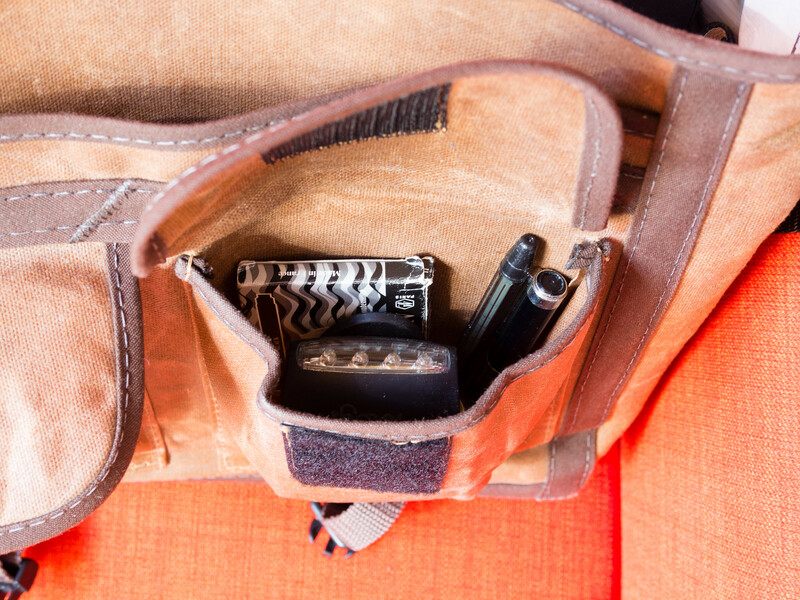 Having these extra options makes it easy to keep all your stuff organized. All in all, this is a really nice bag but, alas, it’s not perfect: since it has a flap cover, it will not keep your stuff safe from the rain, as water will leak through the sides. Luckily, we don’t get much rain in Madrid these days, and I can use it throughout most of the summer season without any problems. However, if you live in a rainy area I wouldn’t recommend it. Don’t worry though, any similarly sized messenger bag will work great. Personally, during the rainy season I prefer to use a backpack anyway, since by then it’s usually a bit cooler and sweat is not so much of a problem. 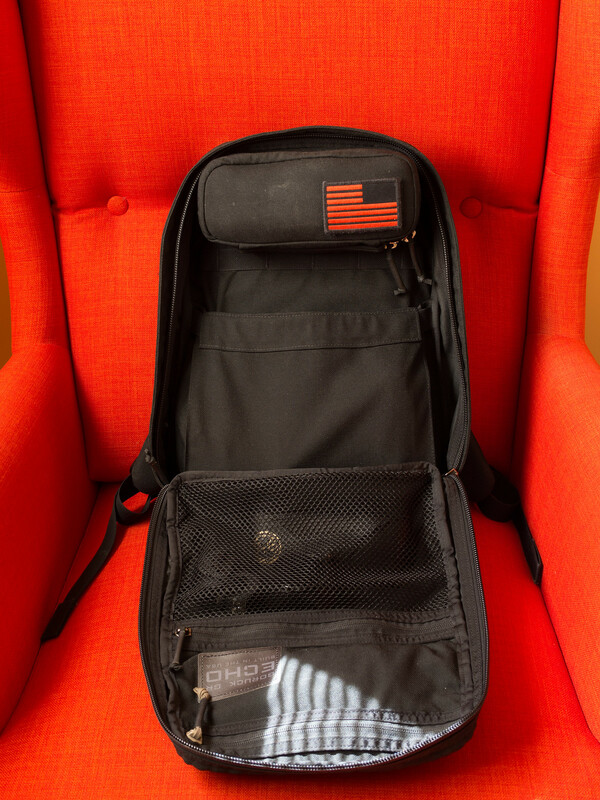 The GORUCK GR Echo, for example, is a great choice and it’s what I use. But more on that later. Like I said before, I believe limiting the amount of gear that you take with you can be an effective way to boost your creativity. However, you should still be careful and make sure you pack everything you’ll need. I like to carry my camera and at most two lenses, one for portraits and another for wider shots. 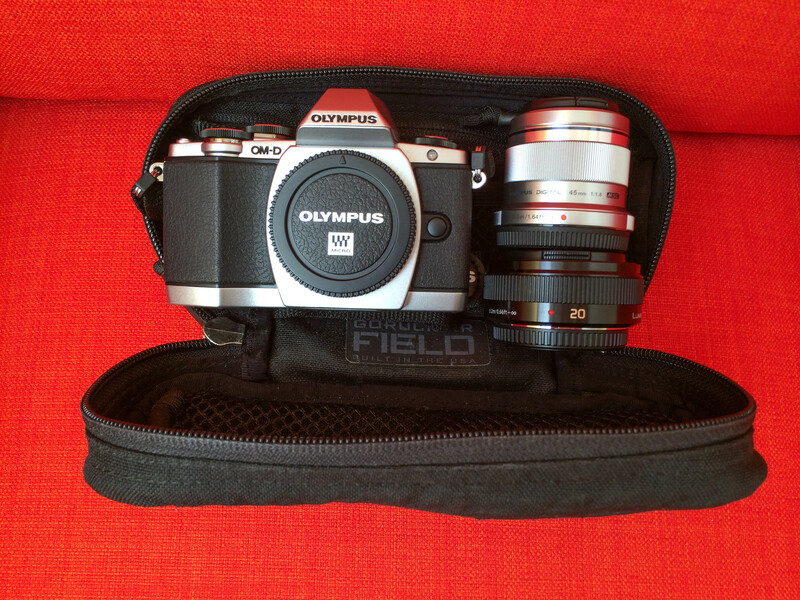 My camera is an Olympus OM-D E-M10,2 which is a mirrorless camera with a Micro Four Thirds sensor. It’s a great little camera, capable of producing extremely high-quality images and with plenty of manual-controls, while being impressively thin and light, even by Micro Four Thirds standards. And at $699 body-only, it’s quite affordable, too. 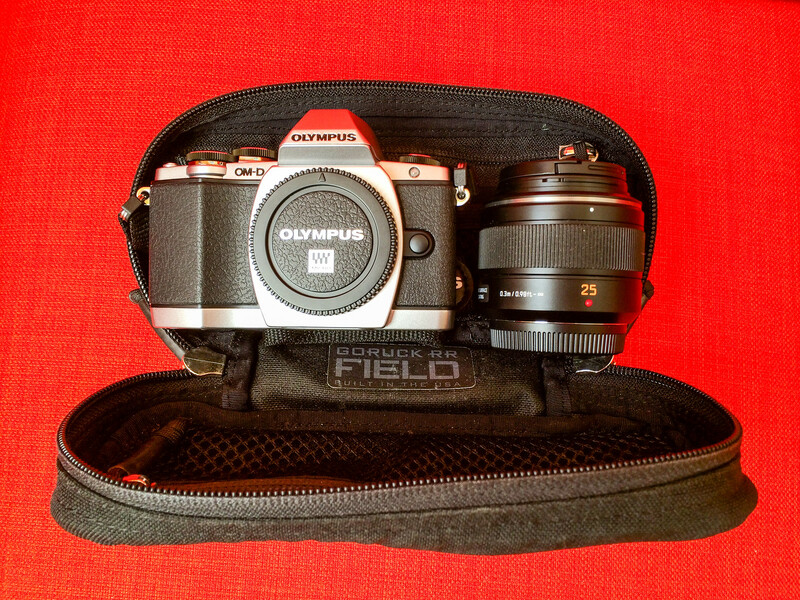 If money is no objection to you, then the flagship Olympus OM-D E-M1 is certainly better in some areas, but if you care about getting the most bang for your buck, the E-M10 is a solid choice. You get the same IQ as the E-M1 and many of the same features for about half the price. Here’s Steve Huff’s review from a few months ago if you want to read further. He certainly seems to like it, and so do I.
I carry my lenses, along with the E-M10, inside of a GORUCK RR Field Pocket, which is great. 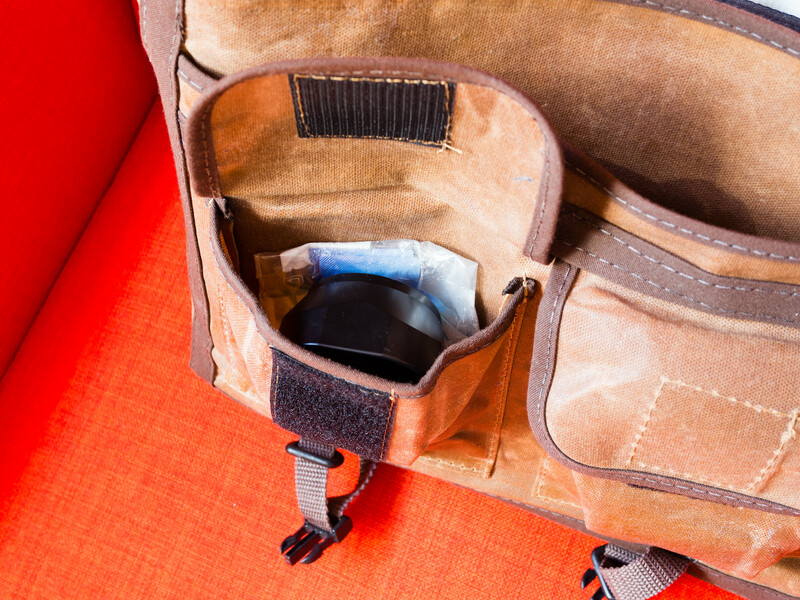 These pouches come in three different sizes, so you can pick the one that works best for you depending on your camera and lens selection. I chose the smaller one. It’s incredibly tough and highly-water resistant, so you can trust it to keep everything safe and dry. 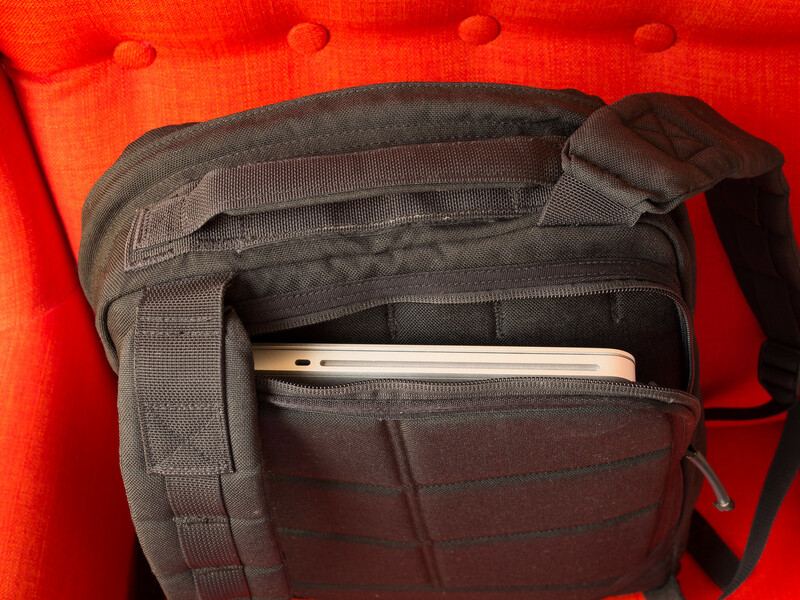 It works so well because it creates a snug fit with the camera and the lens that keeps things from sliding around in there when you close the zipper. 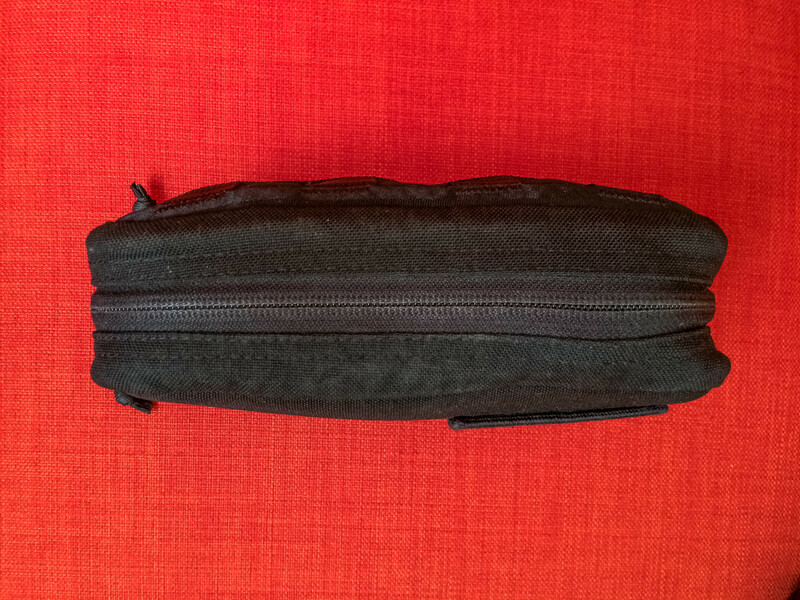 It’s really close to being the perfect minimalist bag for your mirrorless camera. Most days I take only one lens with me: the Panasonic Leica 25mm. This is an amazing lens, and its 50mm-equivalent focal length makes it perfect for many different situations. Besides, the color rendering and the character of this lens are already legendary in the Micro Four Thirds world, and with good reason. It really is an incredible lens to shoot with. Some days, though, I choose to take the other two primes instead. The 45mm is perfect if I want to shoot a portrait, for example, of if I’m planning to shoot urban landscapes. And the pancake easily fits with it in the field pocket, so it usually ends up coming along for the ride in case I need something wider to shoot with. The combination of these two lenses is obviously more versatile than the 25mm, but the color rendering and character of the Leica are so unique that it’s difficult to leave it at home. If there’s not a clear need for one particular lens or another, I’ll usually make the choice depending on my mood and what I feel like shooting with on that particular day. 13” non-Retina MacBook Pro (Mid-2010). It’s an old machine and I’ve been drooling over the newer Retina MBP’s for quite some time, but it’s still in perfect working order and it does everything I need, so I haven’t been able to rationalize replacing it yet. A few months ago I upgraded its hard drive with an SSD, which made everything considerably snappier. All things considered, I’m pretty happy with it. Bose AE2i over-ear headphones. These are very lightweight, extremely comfortable to wear over extended periods of time and sound pretty good, at least to my non-audiophile ears. They also have an inline mic and playback controls in the cable for added convenience. I purchased them at a steep discount and am very happy with them, but I don’t know if I would have paid the full price for them, since there were other similarly priced models with better reviews. Still, having now used them for a long time, I can recommend them without hesitation. Ray-Ban New Wayfarer sunglasses. Not much more to add here. Field Notes notebook. I use Moleskine notebooks as well. Waterman Perspective fountain pen, ink cartridges and regular pen. Set of LED lights for my bicycle. At this point we have already covered the basics of a pretty good photography kit for the city. By now, you should be thinking about how you can make this your own and customize it to suit your particular needs, which are surely different from mine. Personal customization is an essential part of a photographer’s kit, since different people have different preferred approaches. Leather pouch for the insulin pens. I purchased it at a leather workshop in Barcelona, shortly after I was diagnosed. It’s entirely hand-made and it’s gorgeous. It fits my two insulin pens perfectly. Glucose meter pouch. I also have a few needles for the insulin pens in here. Liquid glucose packs. In case I have a hypoglycemic episode and I need to quickly raise my blood sugar. These are inside a clear zip-lock plastic bag because unfortunately they tend to leak sometimes, and things can get messy. Putting everything in the right place is often underestimated, but I believe it’s important. A very complete kit is not very useful if it takes you forever to find what you’re looking for, so good organization is a must. 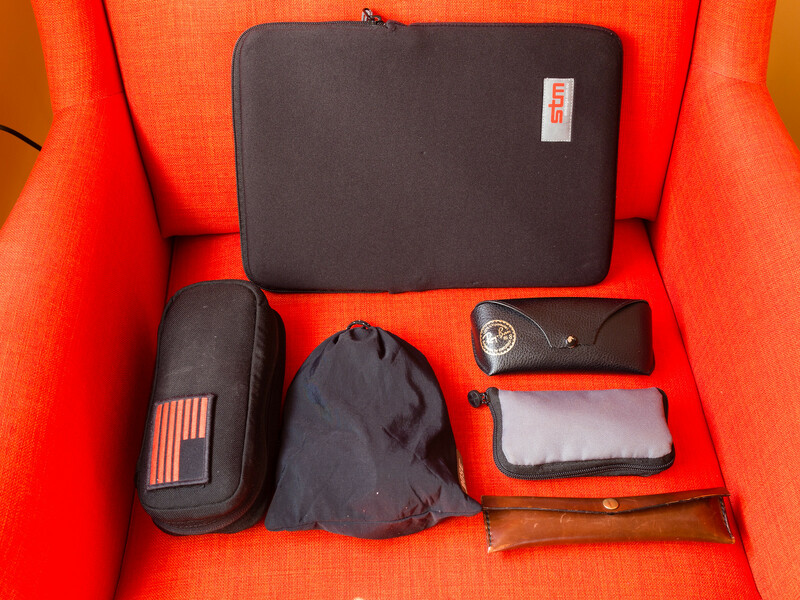 The items I carry in the main compartment of the bag are the MacBook Pro, the RR Field Pocket (with camera and lenses inside), the headphones, the glucose meter pouch, the insulin pens and the sunglasses. 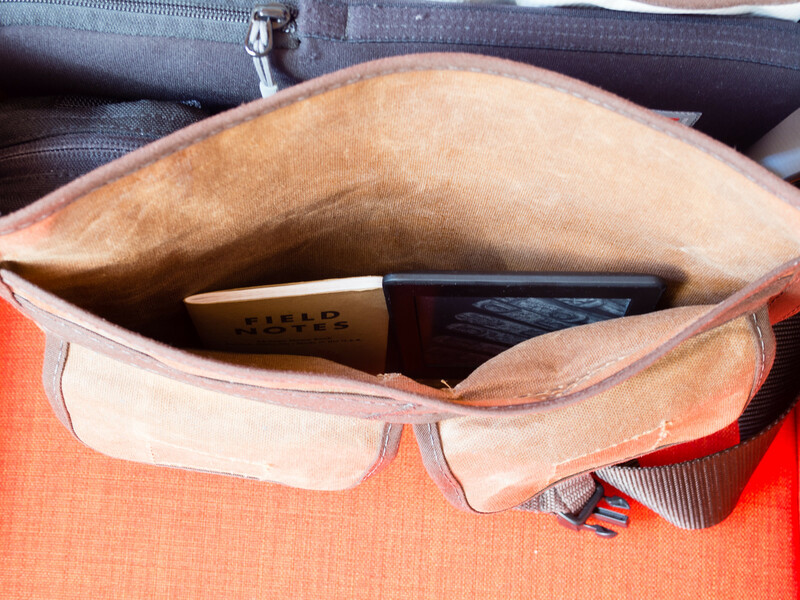 The Field Notes notebook and my Kindle Paperwhite are in the secondary sleeve compartment. Finally, the rest of my stuff is in the secondary pockets: glucose packs, pens, LED lights and occasionally, the lens hood of the Leica. With this organization, things fit nicely in their proper place and they don’t move around too much, even when I’m pedaling my way across the city. Knowing that my gear is safe gives me peace of mind so I can focus on getting from point A to point B without distractions. 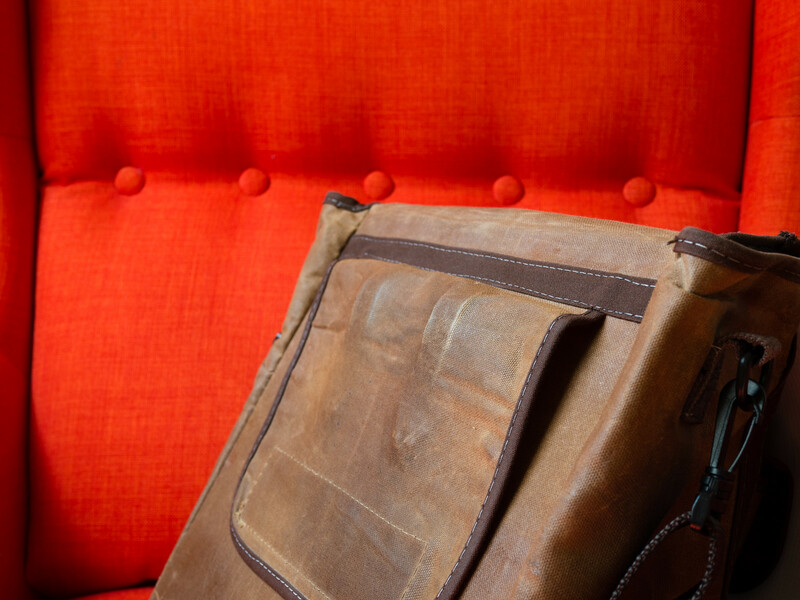 Besides, the bag has a nice, stylish look that I really like; I feel that I can take it with me anywhere without looking too out of place or drawing too much attention to myself. That’s also important sometimes. 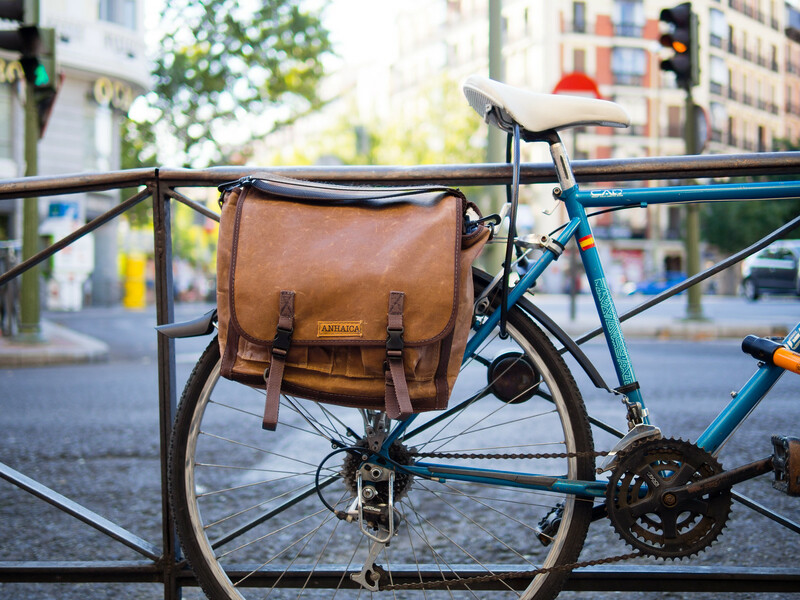 On some occasions, like when it’s raining, or on those days when I know I’m not going to use the bike, I usually ditch the messenger altogether and use a backpack instead. 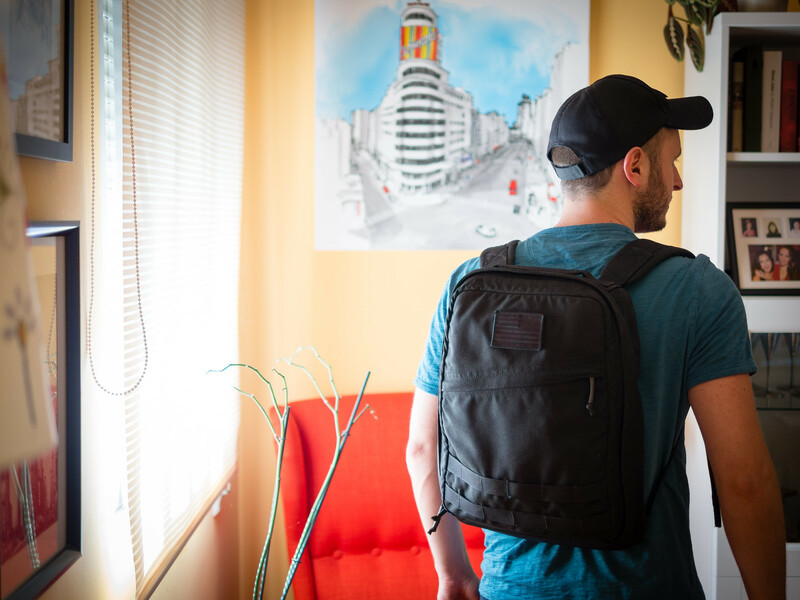 My backpack of choice is the GORUCK GR Echo, and it’s a fantastic bag. This section is meant to show you that my way of doing things doesn’t necessarily have to be what’s best for you. 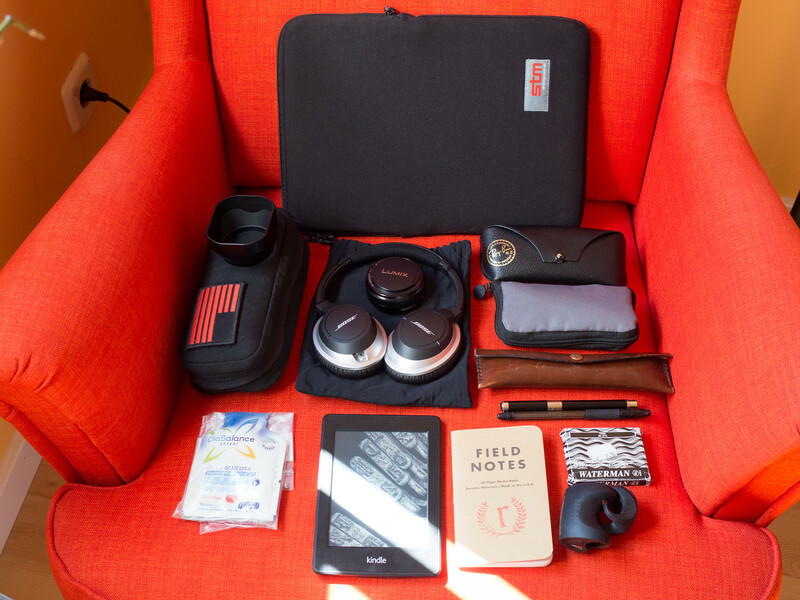 There’s ample room for customization here; you should take some time to figure out what you want from your bag, and choose accordingly. 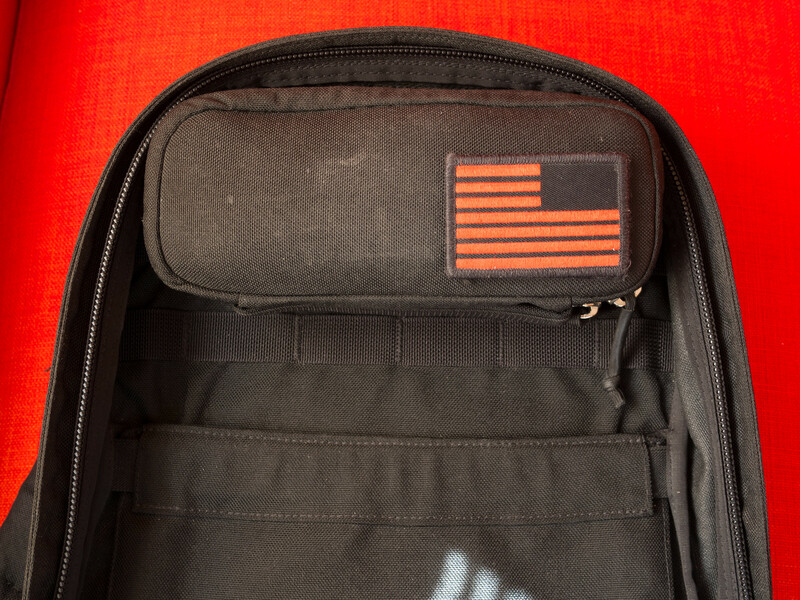 Much has been said about the GORUCK rucks and, as far as I can tell, most of it is true. These bags are amazing. The build quality is second to none, and they’re guaranteed for life. 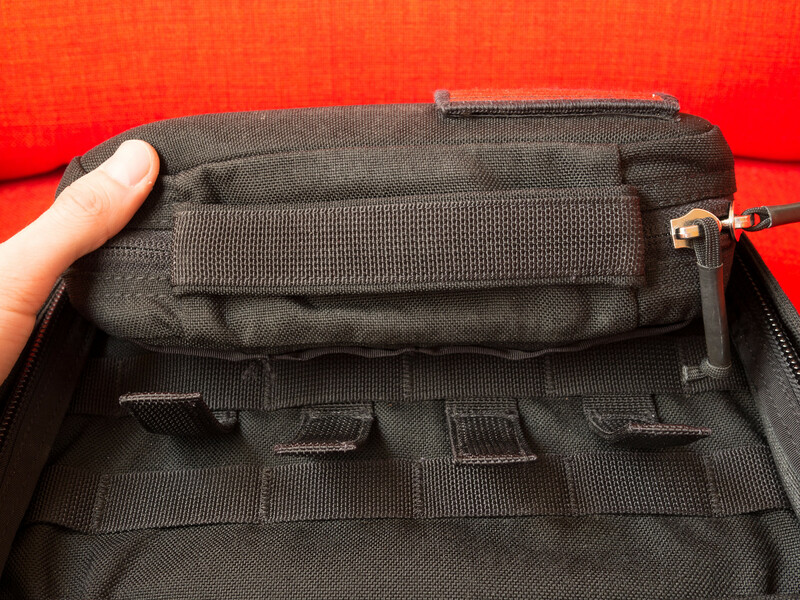 One of my favorite design features, especially in combination with the Field Pocket pouches, is the MOLLE webbing. 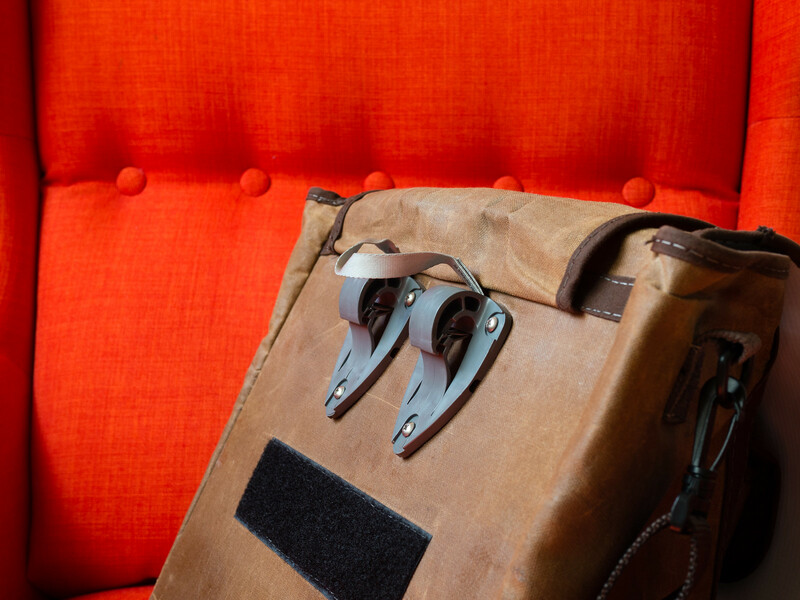 It’s designed to easily and securely attach so that your gear stays where you put it, no matter what. 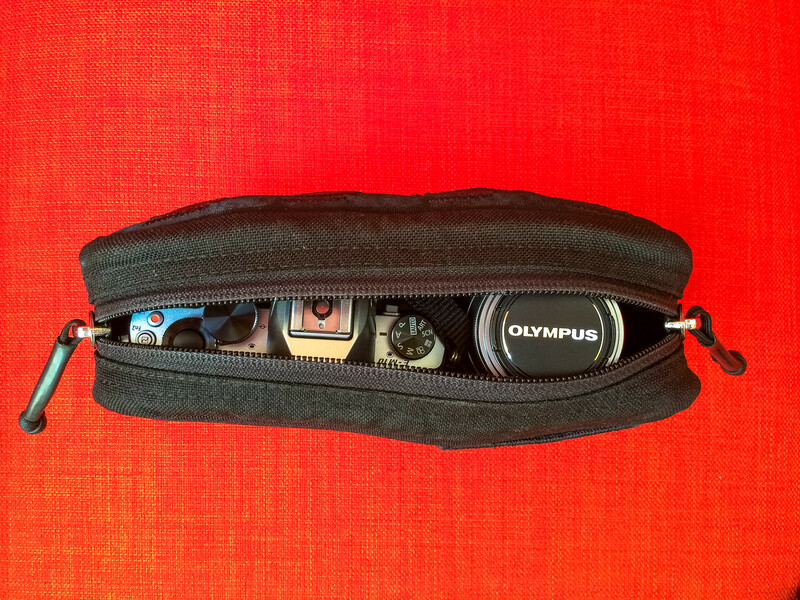 I own a GR Echo and a GR 2, and attaching the field pocket to any of them instantly turns them into fantastic camera bags. This is a great example of GORUCK’s design philosophy: it’s the gear that adapts to you, if you take the time to experiment and make it yours. If you appreciate good quality and craftsmanship, I highly recommend them. Another great thing about the GORUCK rucks is that they open completely flat. This is a huge feature to have when you’re carrying a bunch of stuff inside, because it allows you to find anything almost instantly. No need to hunt for things inside the bag anymore. You could be forgiven for thinking it’s empty. It’s actually fully loaded with everything you saw before, but it’s still got plenty of space left. Light and fast. That’s how you want your bag to look like. 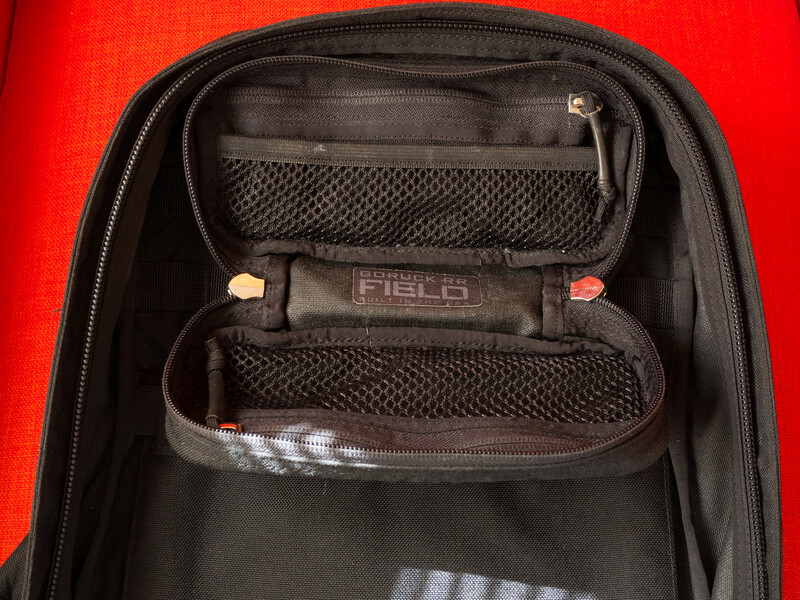 One of my favorite things about this system is that your camera and lenses will always be easily accessible from the top of the ruck: just unzip the main compartment and the Field Pocket and you’re good to go. 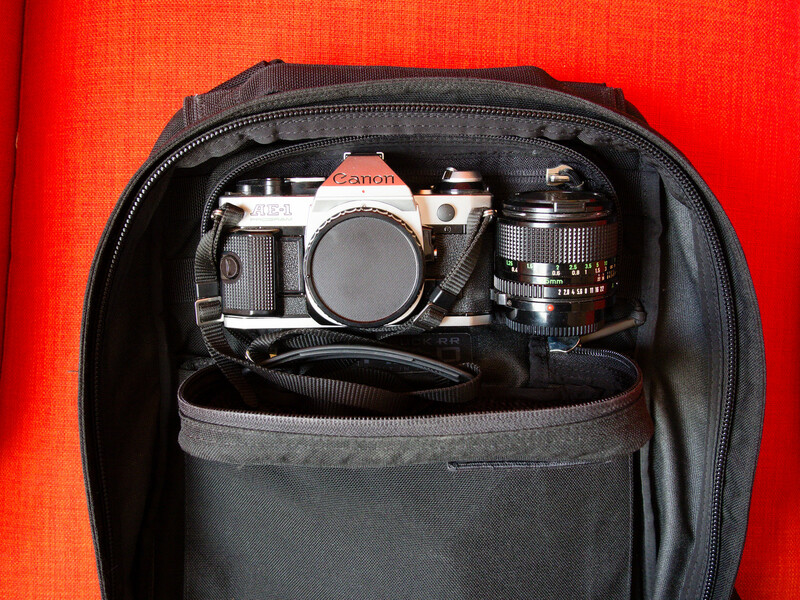 So there you have it, another great way to carry your photography gear across town. The GR Echo is slim and discreet, and you can take it with you almost anywhere without arousing suspicion. That’s what I really like about using a regular bag instead of a dedicated camera bag: sometimes you don’t want the whole world to know you have a really nice camera in your bag. Lately I’ve been experimenting with an old analog SLR that belonged to my father. 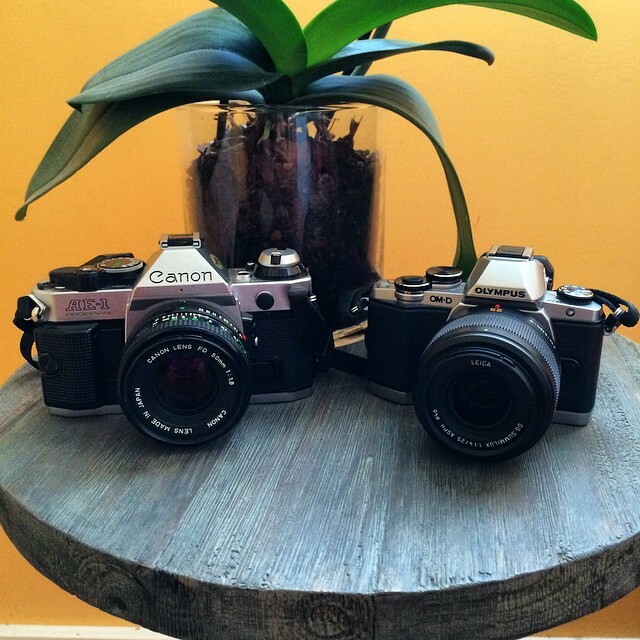 It’s a Canon AE-1 Program, one of the most popular 35mm film SLR’s from the 80’s. It’s in absolutely mint condition and it just pained me to see it unused, so I grabbed it a couple months ago and I’ve been playing with it since then. Shooting with this camera is awesome. It’s manual-zoom only, and it supports full manual operation as well as full auto-exposure and shutter-priority modes. I love it. I usually shoot in shutter-priority mode. I’ll probably end up going full manual, but in the meantime, having these extra modes is certainly helpful. So far I’m loving the experience of shooting film, and I would recommend anyone to try it. The good news is, you can get a high-end 35mm film SLR and a pretty good lens for under $100 on ebay, easy. I think it’s a great creative exercise because it forces you to be much more thoughtful and deliberate about your photography, and that’s good. Full auto-everything doesn’t make you a better photographer; being 100% responsible for the image you capture does. In this article I’ve tried to show you how to build a lightweight photography kit that works for yourself. To me, a versatile photography kit is one that allows me to have everything I need, while staying light enough for me to comfortably move around the city. One of the things I particularly enjoy about this kit is that I never feel creatively limited by my gear. That’s a great feeling to have when you’re out there shooting. As you’ve seen, my kit is pretty light, but yours could be even lighter. There are always opportunities to shave a few ounces here and there. All the diabetes-related stuff is weight you probably don’t need, so use it to your advantage. If you shoot JPEGs, for example, you may be able to use Lightroom on your iPad instead of the MacBook Pro. That’s a massive weight reduction right there. On the other hand, you may need to take other items that I have not mentioned here. It’s possible to do that, too, while keeping things reasonably light. I normally work at places that have WiFi networking available for customers, but if you need to you can pack an LTE Mobile hotspot without adding too much bulk. 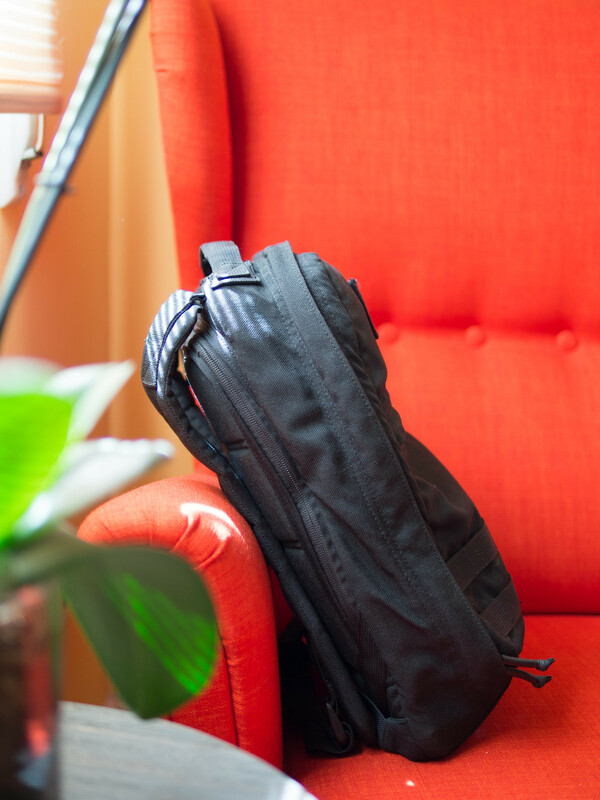 You could also fit a small tripod, a couple extra batteries, memory cards and filters, along with some basic lighting equipment, and the bag would still be comfortable enough. This is not to say that you have to take everything with you every single day. Quite the contrary, in fact. You can — and totally should — slightly modify your kit depending on your schedule. In the end it’s all about finding what works best for you in each particular situation. At the end of the day, the best advice I can give you is this: be aggressive about streamlining your kit, and don’t be afraid to leave things out of the bag. You’ll be surprised by how little you actually need to get the job done. And then, just worry about your photos instead of your kit. Which, after all, is the whole point.